What is an Employee Assistance Programme or Employee Wellbeing Programme? Employers worldwide are appreciating the increasing need for maximum employee productivity and effectiveness in a global economy. In countries with labour and/or skill shortages, the strategic value of worker recruitment and retention is vital. Employers are thus utilising workplace services, such as Employee Assistance Programmes (EAPs), also known as Employee Wellbeing Programmes (EWPs), and other related programmes to enhance their overall Human Resources systems. Broadly defined, an EAP | EWP is a professional assessment, referral and/or short term counselling service offered to employees to help them deal with a broad range of personal and work related challenges and problems that impact on the individuals’ performance at work. Masi (1984) describes an EAP | EWP as a method of intervention that focuses on the decline of job performance, not on the nature of the employee’s problem to restore the worker to full productivity. The EAP | EWP offers a range of services (and the tolls to address these) to the employees of the organisation that can assist in resolving the myriad of problems they face on a daily basis. These range from personal (psychological, financial, legal and health-related) to organisational. The EAP | EWP is also there to help the organisation to understand and enhance the performance of the organisation as well as its employees. “Solution-focused therapy is a brief, short-term therapeutic approach that views therapy as collaboration between two experts; the client and the therapist, with a view of reaching shared solutions,” De Jong & Kim Berg, 2002. Solution-Focused Brief Therapy (SFBT), also called Solution-Focused Therapy or Solution-Building Practice Therapy, was developed by Steve de Shazer (1940-2005), Insoo Kim Berg (1934-2007) and their colleagues beginning in the late 1970’s in Milwaukee, Wisconsin. As the name suggests, SFBT is future-focused, goal-directed and focuses on solutions, rather than on the problems that brought clients to seek therapy. Since that early development, SFBT has not only become one of the leading schools of brief therapy, it has become a major influence in such diverse fields as business, social policy, education, and criminal justice services, child welfare, domestic violence offenders treatment. Described as a practical, goal-driven model, a hallmark of SFBT is its emphasis on clear, concise, realistic goal negotiations. The SFBT approach assumes that all clients have some knowledge of what would make their life better, even though they may need some (at times, considerable) help describing the details of their better life and that everyone who seeks help already possesses at least the minimal skills necessary to create solutions. Present and future-focused questions vs. past-oriented focus. Consultation break and invitation to add further information. Even though it is an inductively developed model, from its earliest beginnings there has been consistent interest in assessing SFBT’s effectiveness. Given the clinical philosophy behind the SFBT approach, it is not surprising that the initial research efforts relied primarily on client self-reports. Since then, an increasing number of studies have been generated, many with randomised comparison groups, such as that of Lindforss and Magnusson who studied the effects of SFBT on the prison recidivism in Hageby Prison in Stockholm, Sweden. Their randomised study compared those clients who received average of five SFBT sessions and those who received their usual available services. Clients were followed at 12 and 16 months after discharge from prison. The SFBT group consistently did better than the control group. A number of researchers have reviewed studies conducted in a variety of settings and geographical locations, with a range of clients. Based on the reviews of these outcome studies, Gingerich and Eisengrat concluded that the studies offered preliminary support that the SFBT approach could be beneficial to clients. However, more microanalysis research into the co-construction process in solution-focused conversation is needed to develop additional understanding of how clients change through participating in these conversations. Will my colleagues, life partner, or family know if or why i am using the programme? No. Unless you give us permission to tell them – and that is why we need forms, forms, forms… we all dread admin, but your privacy is worth it! We cannot tell anyone if you are using the programme or not, and no-one outside of LifeAssist can know your personal information without your permission. In fact, you have to give us permission to tell anyone else. It is for this reason that you need to sign an “Authority to Release Information” form. There is an exception to this rule. 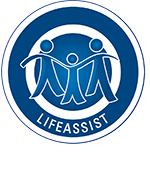 It is not LifeAssist’s rule, we are governed by law – the spirit of which is to protect people from self-harm, harm to others or a danger or threat to others. If your manager sees that there is something troubling you, or that the EAP | EWP can help you to grow in your career, they can suggest a Manager Referral. We can only act on this if you sign the Manager Referral form. In this process, you agree to us giving feedback but we can only tell the manager what you permit us to. You or your family members can’t be forced to use the EAP | EWP. It is completely VOLUNTARY. Can i refer someone to the programme? In an EAP | EWP model, referrals, other than self-referral, are usually Manager Referrals. Managers may suggest that you use the Manager Referral process if they can see that there is something troubling you that may be affecting your work performance. Yet again, the reason for you using the EAP | EWP remains strictly confidential. However, we often get asked to call someone who seems to need counselling. We know that the motive for the request is care and concern, but we respect privacy and know that the best outcomes are achieved when people ask for help personally. You can play an important role by encouraging the person to contact us. Did you know that you are also expected to respect privacy and confidentiality and should not talk about another person or their problem to anyone else (even us) without their permission? If you are interested in becoming a client or an affiliate, please contact us and complete the relevant forms. We look forward to working with you.